The Sorting House Lofts introduce a rare concept in flexible living—gliding walls that allow residents to effortlessly configure and curate their spaces. 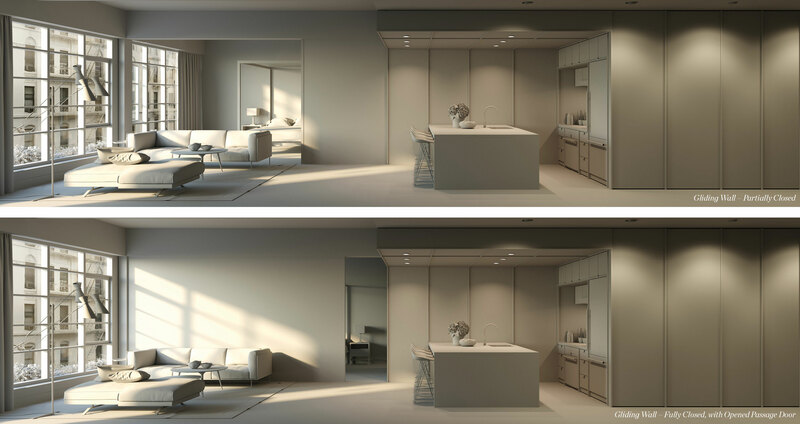 Ingeniously designed to visually integrate with the space, the architect-designed walls disappear into a pocket wall or glide out along recessed ceiling tracks to divide the living space. The walls’ superior craftsmanship and sturdy construction includes a passage door for communication between the spaces that blends into the wall. The architects also designed custom hardware pulls and locks for the system.